One of my favorite aspects of the Flamenco Tour is how the group tends to turn into our own little flamenco family. People take care of each other; they even try to take care of me although I’m supposed to be taking care of them. It's so comforting to feel supported by the people you're with, to be able to relate to each other through experiences in dance class then to walk away from the trip with new friends. 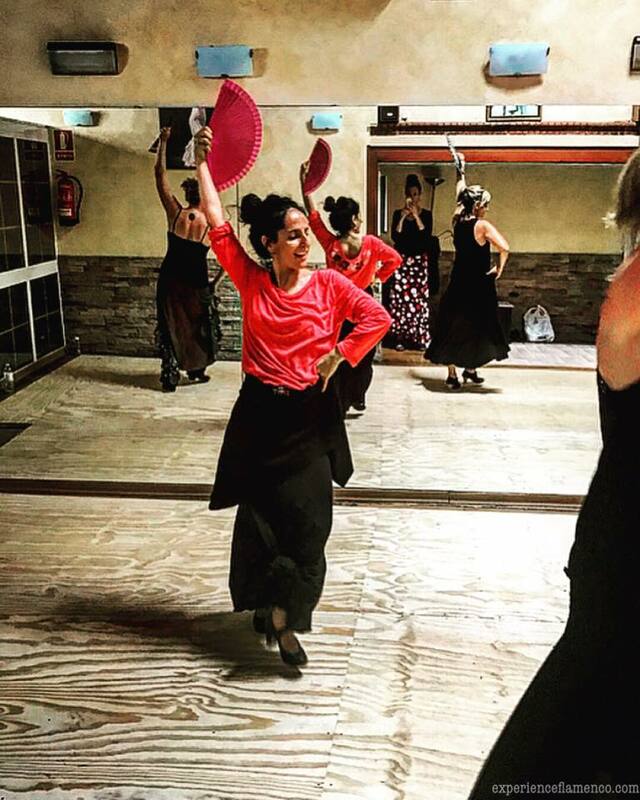 Being on the Flamenco Tour you quickly feel like you’re amongst friends and family. According to one participant, Donna, "what really made this trip extra special was how the locals welcomed us and shared their culture with us as if we were family." She referred to our barrio in Jerez as "a magical place where I had become so comfortable and was welcomed like family by everyone I met." 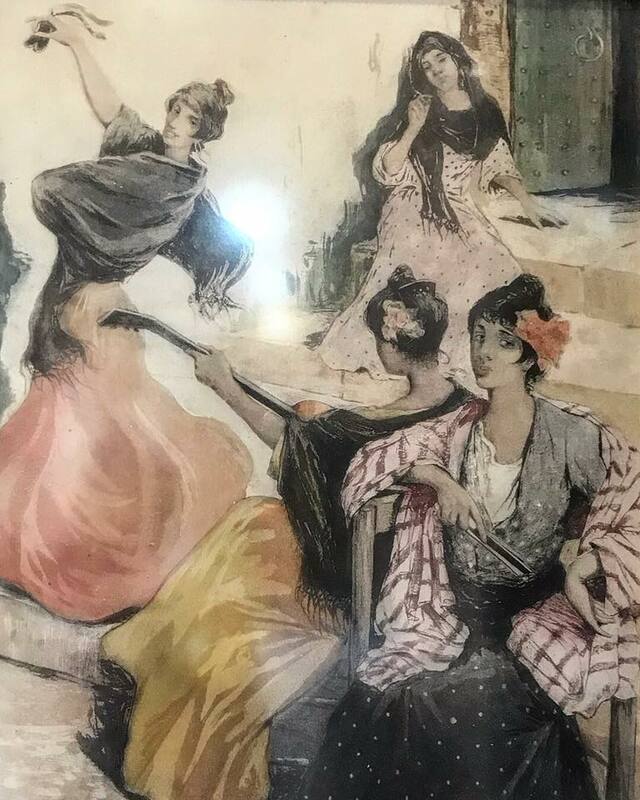 We took a trip to the Centro Andaluz de Documentación del Flamenco and enjoyed the flamenco artwork and a film about the history of flamenco which touched on cante, baile, rhythm and guitar. There’s no such thing as too much Mercedes Ruíz. This week we even studied bulerías with her in addition to our technique and tangos choreography. 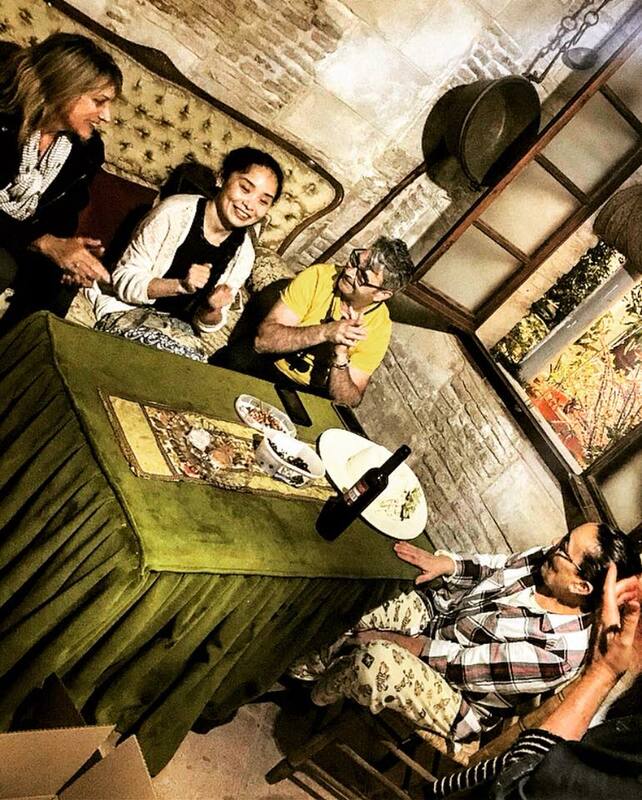 We also got to have a sneak peek into rehearsals for her upcoming show Tauromagia. Wow! This week was all about feeling the progress. By the end of the second week the ladies danced bulerías on their own and in compás!!! They looked forward to going to class and gathering wisdom from Ani. They went from just doing the steps with Ani and Ester to doing steps and arms with them, to dancing together without any teachers to dancing alone! All the practice paid off. On Saturday afternoon we went to Peña La Bulería to see El Almendro and Augustín De la Fuente. During the break an older man who is a member of the peña approached us and asked me if I was Spanish and I said no. He asked where I was from and I told him. “Are they also from the United States?” He asked signaling to my compañeras. I told him yes. “Would you like some vino?” “Sure,” we told him. So he went to the bar and got us each a glass of cream (sweet sherry) AND another bag of potato chips, qué detalle! (We’d been sharing a bag of potato chips earlier). We were very grateful for his kindness. After the show we talked to him (Andrés is his name) and met his wife Paqui. They instantly became our friends. "Do you know the president of the peña? Let me introduce you. Do you want to go down the street with us to see more flamenco? Let’s go." So after some pictures we headed to a bar with them to see more flamenco where Andrés insisted on buying us tapas. Before leaving the second bar I thanked him for his kindness. He told me he saw us at the peña by ourselves and wanted to make sure we felt welcome. It was so sweet. Even with Vinoble (a large sherry festival in Jerez) going on, Papa Alonso of Bodegas Urium managed to make time to see us. As usual he sang sevillanas, and some of us danced atop the albero. Albero is the golden earth in all sherry bodegas and Spanish bullrings. In the main room the book El Platero y Yo by Nobel prize winning poet Juan Ramón Jiménez is displayed. The author was from Moguer where Papa Alonso and family are from. The chapter titled Mons Urium, which means mountain of gold in an ancient Roman dialect, is what the bodega is named for. Moguer used to be called Urium, and in the book it says that from the sea, the mountain in Moguer which is albero rock looked like it was made of gold. When we got to Sanlúcar I asked a couple where we should eat. Without hesitation they recommended Casa Balbino and explained how to get there. I’m so glad they did. We made our way to the plaza where it was located. What a madhouse. 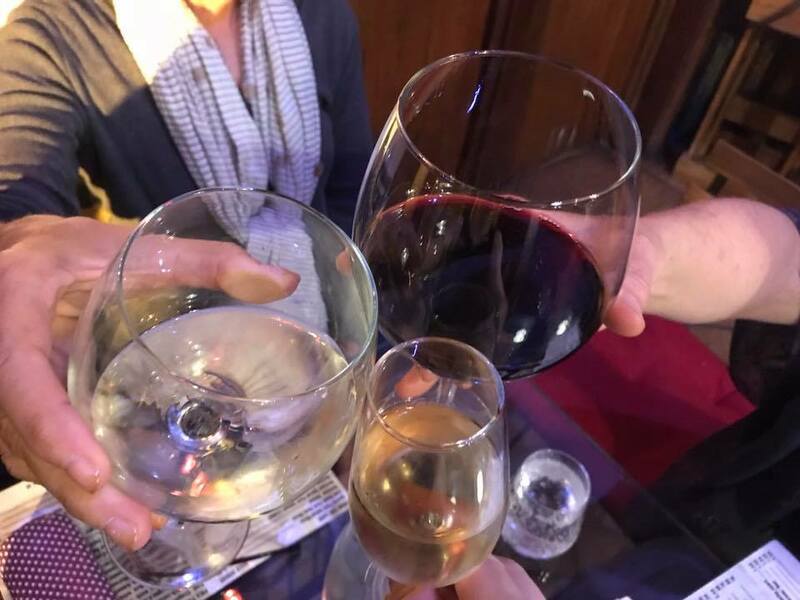 You had to lurk and act quickly to get a table and then again to order (All orders at the counter/bar and you had to get your food from take your food from the bar to your table as it became ready) Our server was the best and took great care of us. It was crazy, so delicious and a lot of fun. Of course we drank manzanilla. There are so many things to love about our apartments. Two of my favorite places are the rooftop and the patio. Maribel and her mother take such good care of the patio and all of the plants and flowers. And you never know what’s going to happen when you’re hanging out there. One day we ended up in the neighbor’s living room having a little juerga! The rooftop is a great place for siestas, practice sessions, hanging out, even for checking your email. So economical and so delicious! Celebrating your hard work over a fresh meal that somebody prepares for you is the best. We enjoyed exploring different restaurants in town and found some favorites to frequent. Okay, I wouldn't really call this a highlight because it is always sad. However since saying goodbye is hard, we turned it into a little fiesta, and said hasta luego (see you later) rather than adiós (goodbye). 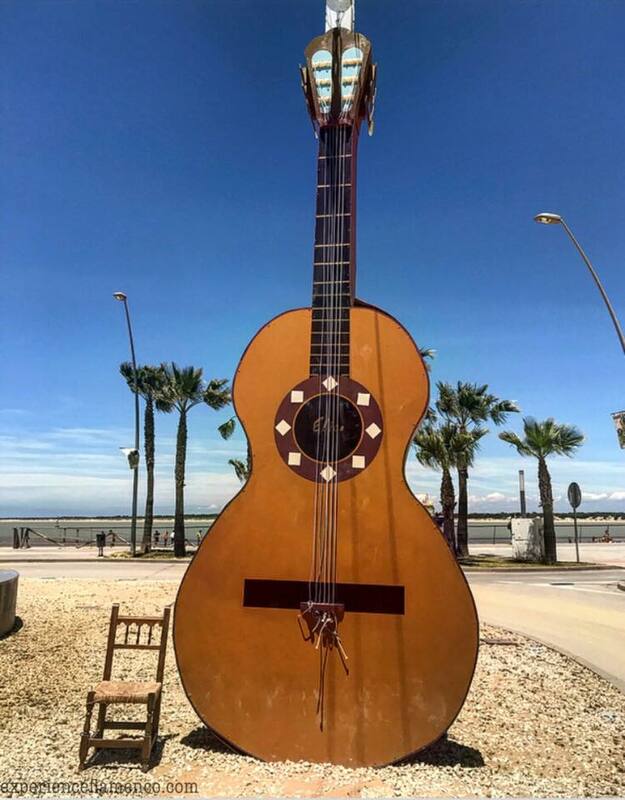 Interested in the Flamenco Tour? The next Flamenco Tour happens September 24- October 8.